The American Association of State Highway and Transportation Officials is welcoming Glenn Page aboard as the organization’s associate program director for project delivery, reporting to Jim McDonnell, AASHTO’s program director for engineering. Page (seen below) will be responsible for overseeing AASHTO staff on the project delivery team, as well as staffing the group’s research advisory committee and the AASHTO Innovation Initiative. Page comes to AASHTO from the Arlington County Transportation Planning and Capital Projects Bureau, where his responsibilities included overseeing the delivery of a $28 million design and construction project along the Columbia Pike roadway, as well as the development of engineering plans, budgets, and schedules for additional projects around the county. 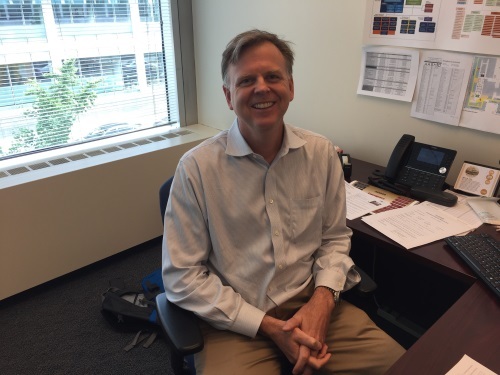 He also worked as an engineering design supervisor, county standards engineer, and a senior engineer on a variety of street and transit projects during his 12 years in Arlington County. Previously, Page worked as a project engineer in the private sector and served as an engineering officer in the Australian Army. His educational degrees include a Bachelors in Civil Engineering from the University of Southern Queensland, plus a Masters of Engineering Science and a Masters in Management Studies from the University of New South Wales, Australia.